GateHouse Sober Community has been helping recovering addicts in rehab houses live a more positive and fulfilling life through our 12-step community. In this time working with participants, we have come to realize the importance of a community to combat some of the largest causes of addiction relapse. Sober living in or near Massachusetts can be difficult, and these common reasons for relapse can happen to nearly any recovering addict. Boredom/lack of schedule. Having too much time on your hands can be dangerous, especially when that time was once filled with toxic items in your life. Not prioritizing time can lead to relapse simply because there is nothing better to do. Stress/extreme emotions. Learning how to manage extreme emotions and stress is essential to dealing with sobriety. In many instances, addicts revert to their coping methods instead of facing their feelings head on, and fall back into their old patterns. Integrating back into addictive places/behaviors. Being in toxic environments, including toxic people, can be devastating to any recovering addict. Patterns tend to repeat themselves, and when others around might be dealing with similar or the same addictions, it is easy to resume an old way of life and believing it to be “normal”. Unrealistic expectations. Recovery is a never-ending journey, and though recovery does improve your quality of life, it doesn’t fix every problem overnight. The expectation that a great life will fall into place for a recovering addict is defeating when it doesn’t occur, and many will turn to their habits when improvements don’t appear. 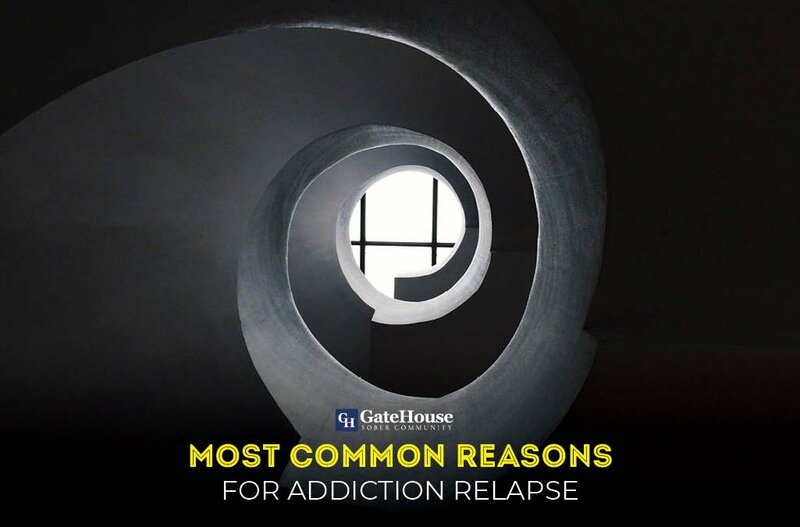 Sober living communities like GateHouse exist to help participants get back on their feet and prepare for the transition from treatment and back into society. These programs understand these triggers that exist outside of the community, how to fight them, and lead a healthier life. If you or someone you love needs admittance into a sober home, consider giving GateHouse a call today at (603) 818-6666.